As Director of Engineering for the front-end of Sqor's web properties, I managed a team of four developers. In addition to our core social media platform, we launched an extranet, and managed new development on Sqor's ecommerce site. I was employee number one. We eventually managed $2M+ in billable revenue. 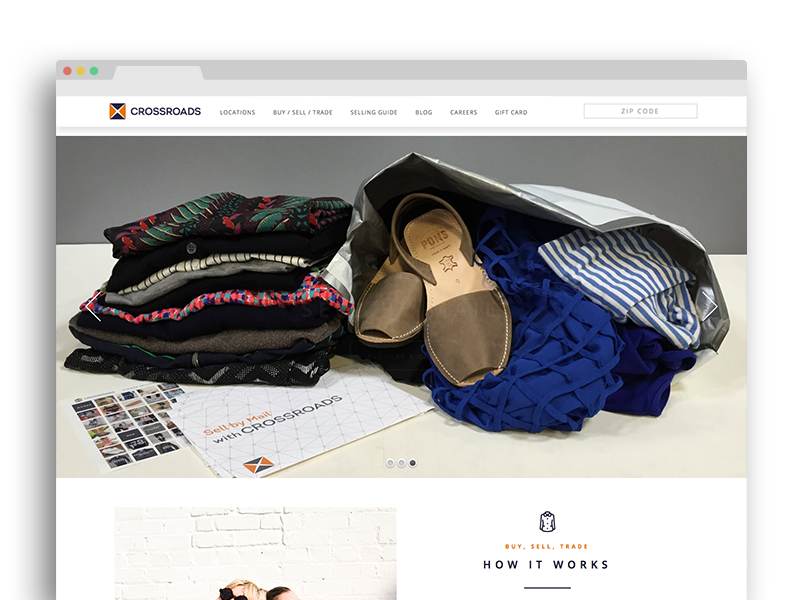 Sidecar was primarily a Wordpress studio, building sites like those for Plant Construction and Crossroads Trading, as well as custom PHP and Angular projects. 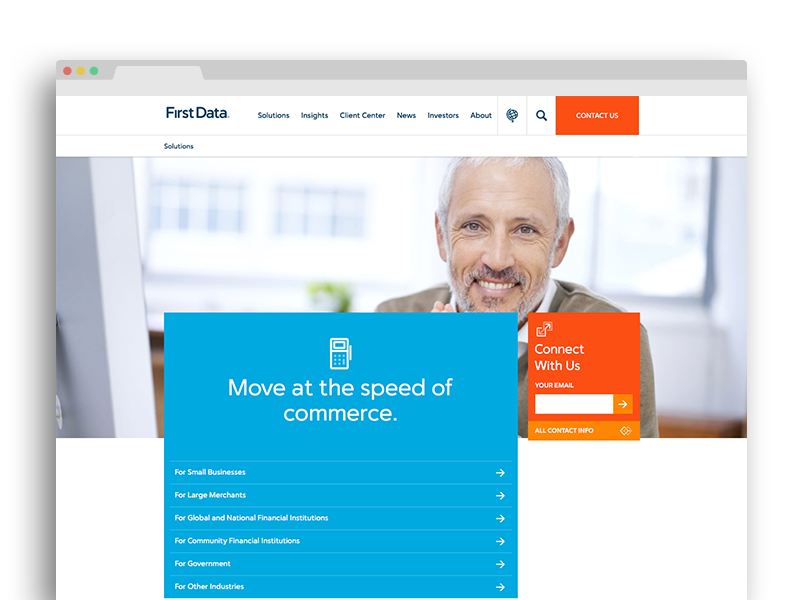 At First Data I built the web practice from less than 5% of merchant revenue being driven online to greater than 40%. I managed over 60+ web assets, vendor relationships for chat, email, hosting and introduced the persistent CTA on FirstData.com that boosted leads from 17/month to 20+/day at launch. You know that smell of pancakes and bacon cooking in the morning? That's me, building and managing your web site. Click here to send me a message, so we can start working together. 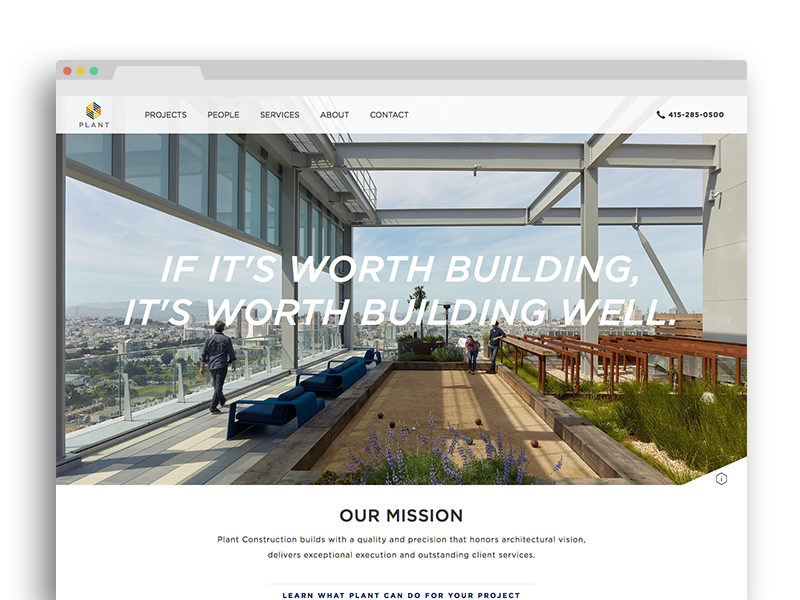 As Sidecar's Technical Director, I managed the client pitch, contract estimates, and strategy, as well as the architecture and full stack build of Crossroad's corporate Wordpress website. We also built a warehouse management application that reduced RMA management tasks from 8 hours to 1. 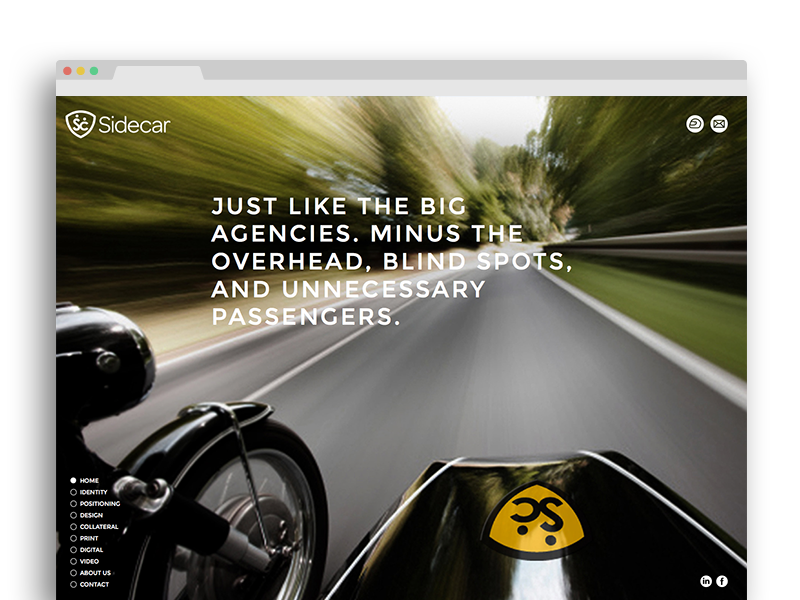 Sidecar Agency developed Plant's corporate marketing and positioning, which was driven largely by their need to develop a segment-leading online presence. I managed the project estimation, contract development, as well as part of the web build, and vendor management. 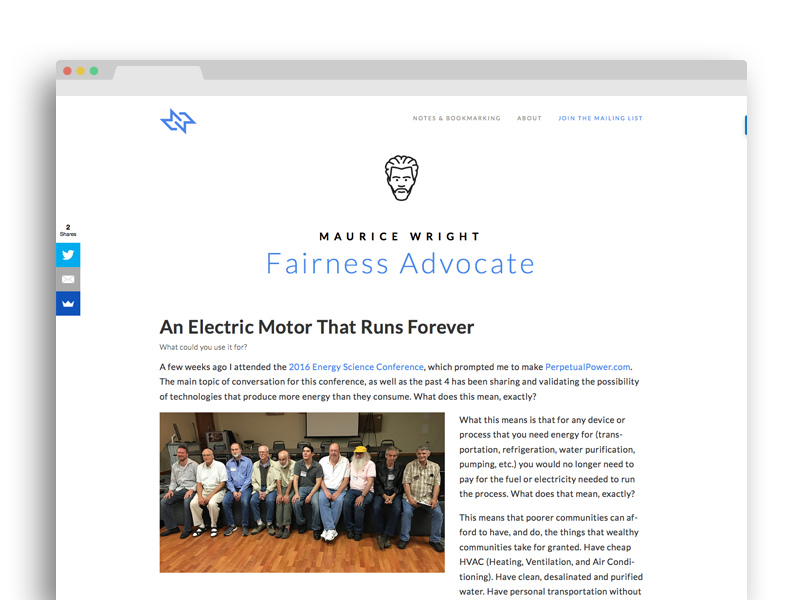 Will your responsive web site make the world a better place? Then, let's make it happen, cap'n. I keep track of notes and bookmarks religiously. When my favorite apps kept changing and became less useful, I architected, designed, and built my own. There is also a companion Google Extension, and user authentication, so that anyone else can use it securely too. After building Wordpress sites for three years, I wanted a much lighter way to blog that required as few external front, and back end libraries as possible. Here I talk about topics that help people identify ways to accelerate their knowledge. 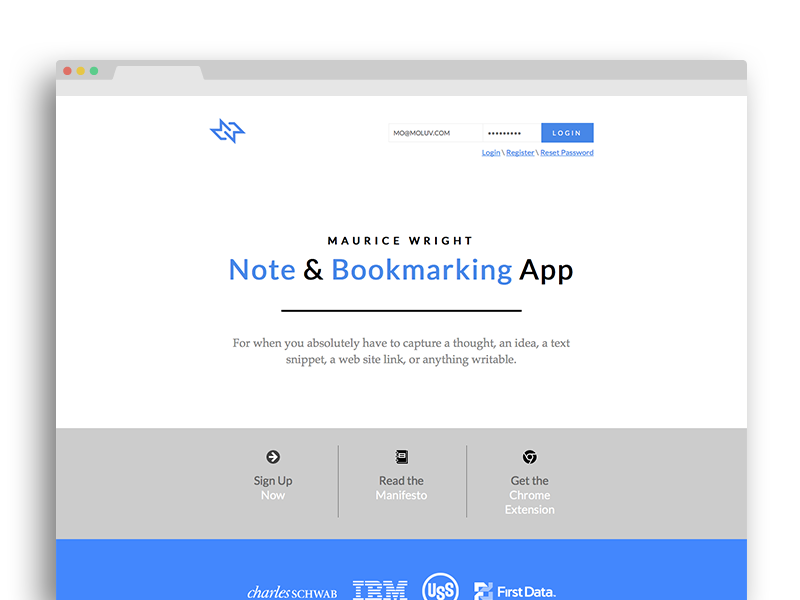 There are 3 simple things that most developers don't know about making great web sites. Do you know what they are? Click here to send me a message, and I'll let you in on the secret. After nearly 10 years of not being able to find Capoeira instruments, I architected, designed, and built a web site to help. 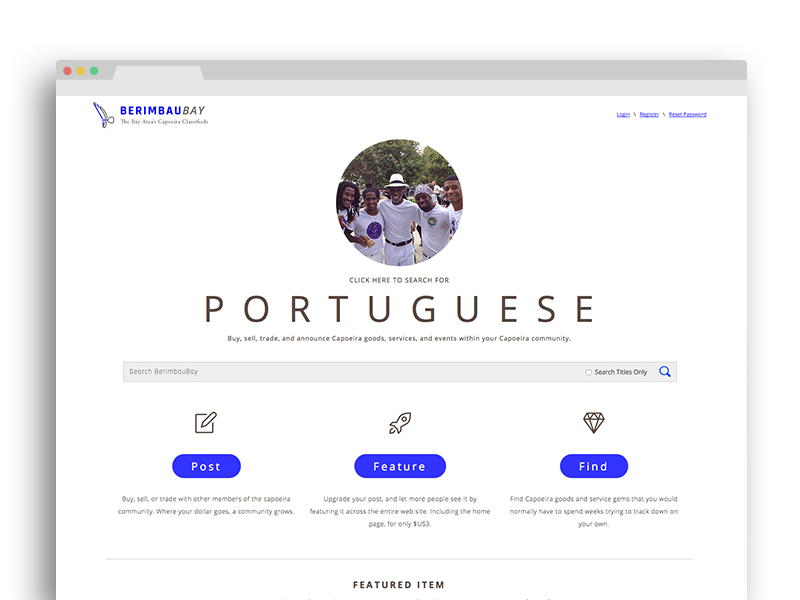 It was meant to be like a Craigslist for capoeira that monetized through the Stripe API with featured listings. My first personal AngularJS project. I built a site that anyone could use to devise an online marketing plan. 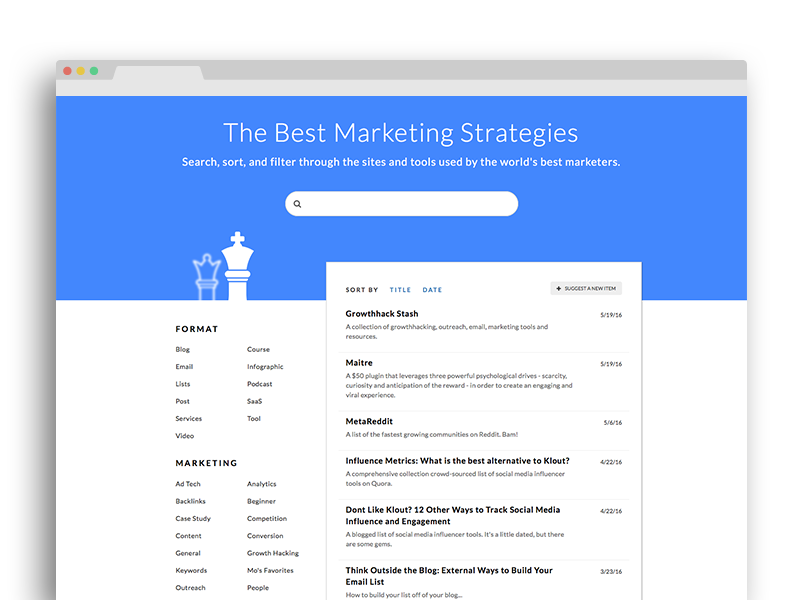 Using a RESTful PHP backend, I made a searchable, sortable, and categorized resource (with inline-editing) that could answer most online marketing questions. Free energy tech is cool. 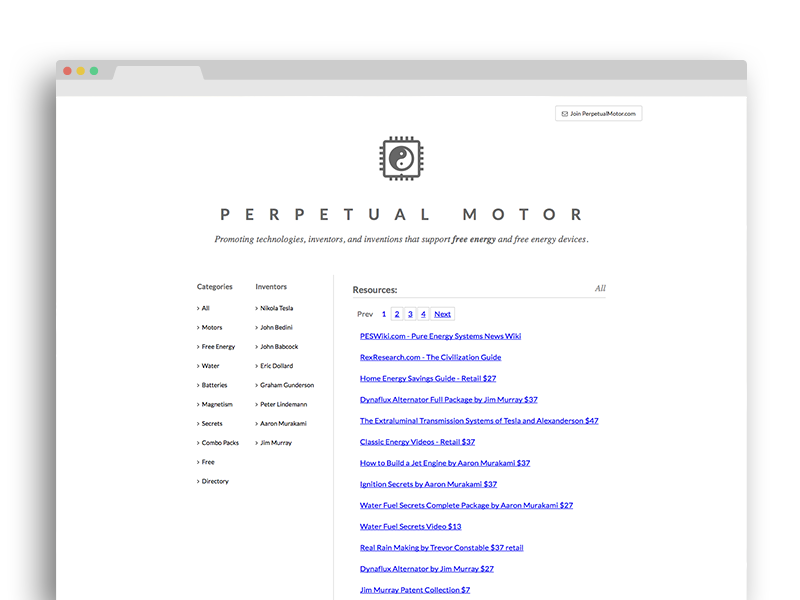 After dusting off an old jQuery paging plugin that I created, I slapped this categorized, responsive, and low-bandwidth site together (with animated logo) in 2 days. Assorted posts from the 'Fairness Advocate' blog. Where I discuss the things that can give you a leg up on knowledge. Capoeira fan? Need marketing inspiration? Want to keep track of stuff? 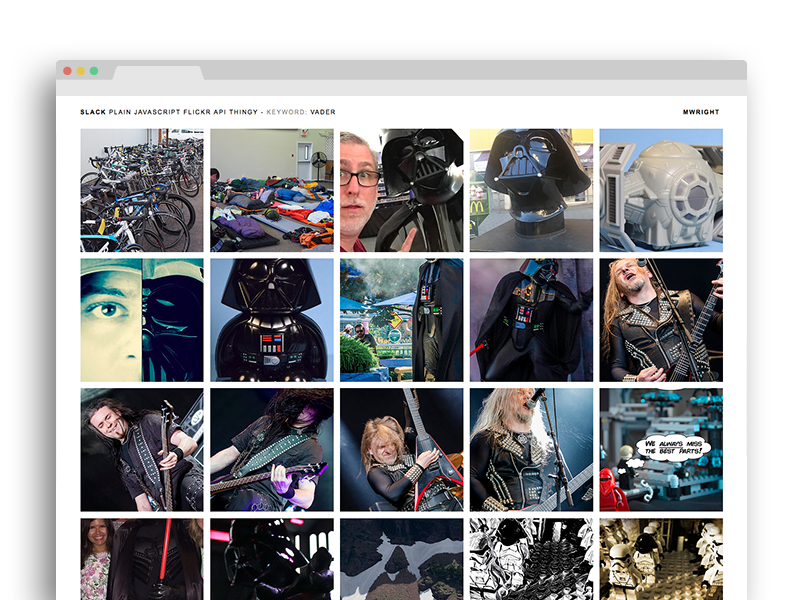 Visit some of my personal project sites. 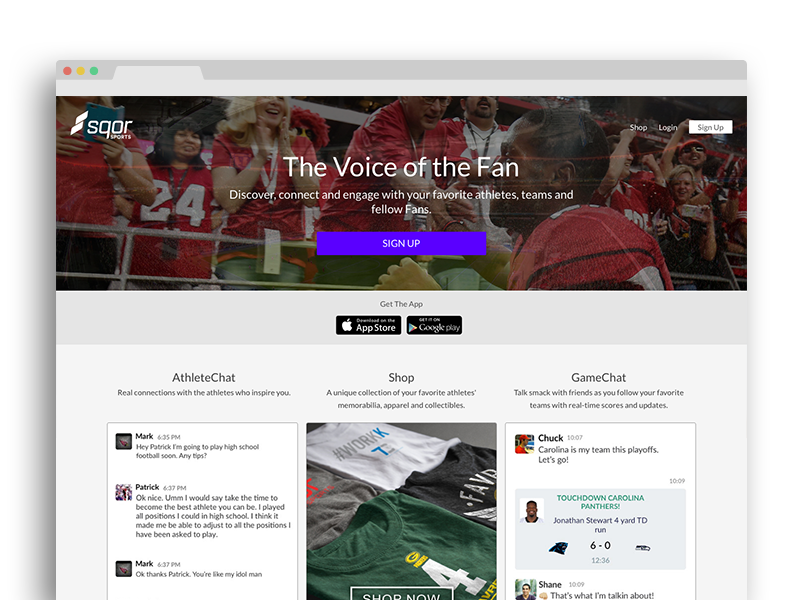 I'm all over the interwebs, dawg. Hit me up in one of my social media hangouts.